It’s that time of year again. 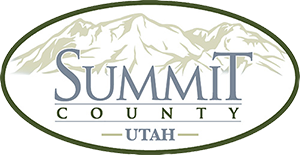 Have you received your 2018 Summit County, Utah Property Tax Notice? It’s time for a run down of something every real estate owner has to deal with, including Utah. Like it or not, it’s time to pay property taxes. Below you’ll find everything you need to know for Wasatch and Summit County, Utah property taxes. We posted a similar article outlining 2017 property taxes. It was reviewed for accuracy by Summit County Treasurer Corrie Forsling. 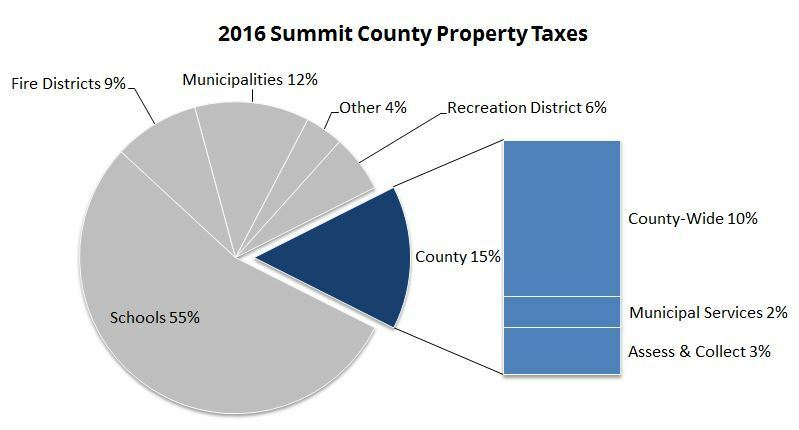 Why do we have a property tax in Summit County? Properties are taxed to pay many public health benefits, in proportion to the value of each home or lot. At the most recent time of reporting, property taxes were allocated to schools, county, municipalities, fire districts and recreation – in that order. See below graph for details. Property taxes are a more stable source of public revenue than sales and income taxes because they do not fluctuate when communities have recessions. A great visual of property tax usage from 2016, the most recent year such a graph is available. When are property taxes billed in Summit County? Property taxes are billed in November in Summit County for the calendar year. They are due by November 30th. If you buy or sell a home during the year, the taxes will be prorated by the title company based on the closing date. How are properties assessed in Summit County? Each August, the county Assessor will send a notice to the owner of the assessed value of the property and the taxes. This is not a bill. If you are a primary resident or you rent your property to a primary resident, your property will be taxed at 55% of the assessed value of your home. If you own vacant land or an investment or second home, your property will be taxed at 100% of the assessed value. The assessed value does not change upon the sale of your property. This is because Utah is a non-disclosure state, so sales are not reported to the County Assessor. However, the Assessor will reassess properties statistically every year, and is required to visit the property every five years. What if you disagree with the assessed value of your property? If your opinion of the value of your property differs from the Assessor’s, you can submit an appeal. The deadline for appeals in 2018 is September 17th at 5:00 p.m. The Assessor will only have the chance to change the value of your home if you submit the appeal on time. You can always find a “Request for Appeal of Real Property Market Value” form on the Summit County website. Here’s the Request for Appeal for 2018. You can use this form to appeal the market value of your home. If you believe you qualify for the primary home exemption, you’ll need to submit the “Signed Statement of Primary Residence” (found here for 2018). Comparable sales supporting the value of your home. (I have helped my clients with this data). Documentation that you purchased the property in the same year for less than the Assessor’s market value. A property appraisal completed within one year of January 1st of the tax year. For more information, visit the Summit County, Utah Property Tax FAQs. If you or a family member need help with comparable sales to prepare your appeal, please feel free to contact me. Want to chat about Park City Real Estate? Let’s have coffee sometime.